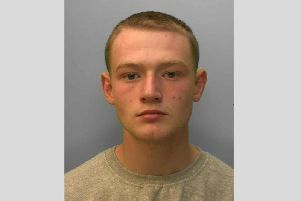 A man whose dangerous driving on Ifield Roundabout in Crawley led to the death of a cyclist has been jailed. Jurors were shown harrowing footage of the collision, which left 40-year-old John Edminson with a serious head injury. Paul Wise, 60, of Vanbrugh Close in Crawley, had been on his way back from Tesco on August 28 last year when the collision occurred. Paramedics arrived at the scene within minutes but sadly Mr Edminson later died from his injuries, Hove Crown Court heard this week. Wise had admitted causing death by careless driving, but had denied causing death by dangerous driving. However a jury decided his driving was dangerous and he was sentenced yesterday, the court confirmed. During the trial jurors were given a break after having to watch tragic CCTV footage showing the moment Paul Wise’s 4x4 struck and fatally injured Mr Edminson. In police interview Mr Wise claimed he had stopped before driving onto the roundabout and did not see any cyclists. This was disputed by the prosecution. “He did not stop at the junction but entered straight onto the roundabout. “Mr Wise collided with Mr Edminson, the force of which threw Mr Edminson some distance onto the ground. The jury found Wise guilty of causing death by dangerous driving, the court confirmed. He was jailed yesterday for 20 months. Wise was also disqualified from driving for two years and 10 months and must take an extended driving test before he can drive after that.